Here are our examples to get you started! It's Christmas at every opportunity for me so satsumas are festive - yeah? 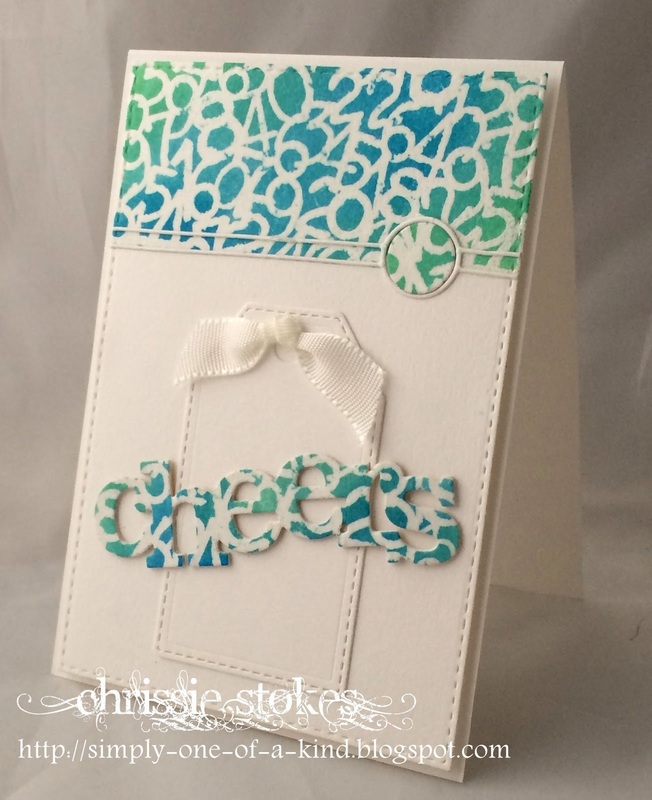 with distress inks plus Wink of stella and glossy accents to some to them. I printed a digi image from a Pink Petticoat set called Partridge in a Pear Tree, coloured with my ProMarkers and then die cut with an MFT fishtail flag die. The musical notes were stamped from the Rockin' Robin set by Clearly Besotted. I used two more of the fishtail flag dies to cut two pieces of co-ordinating patterned paper, the polka dot from MFT Dots & Stripes Neutral and the green from Santa Express by Doodbug. I adhered some kraft cardstock to my card base, layered the papers and finally popped the image panel up on 3D foam strips. with Simon Says Stamp stitched squares and rectangles. Here the fruit is the olive in the martini! with alcohol pens and the glass glazed with Glossy Accents. 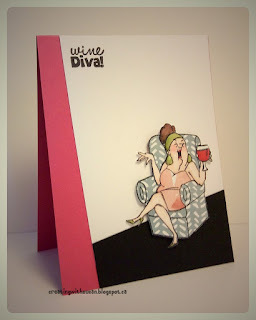 Do try to visit the DT's personal blogs where you will find some additional cards to inspire you! including mistletoe and holly if you still need to get some Christmas cards done! We're waiting to see what you can come up with! 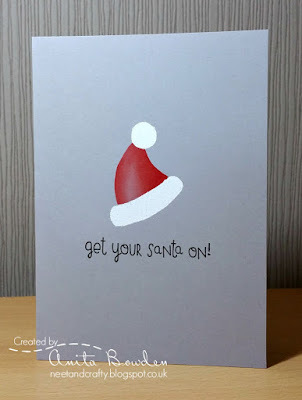 What fun cards were submitted for our Santa challenge and it was a delight to choose our showcase for this week! Even the ONE LAYER element didn't cause too much trepidation it seems, as we had some terrific submissions! Without further ado, here are our choices! What amazing colouring! If you haven't visited Rachel's blog, we would urge you to do so, you won't be disappointed with her fabulous work! 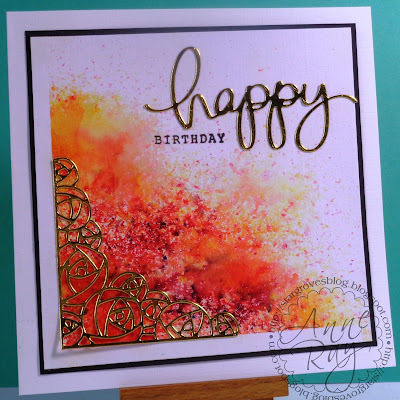 What perfect use of white space and immaculate stamping ! Deepti has achieved such a vibrant scene with her exceptional inking and stamping! Congratulations ladies, please take the badge from the page at the top to pop on your blogs with our thanks. There's just a little time to join in our numbers challenge which ends tonight and don't forget to check out our new challenge tomorrow at 8am GMT! Morning LIMettes are you ready for our theme week? We would like to see numbers, or reference to them in some way! DO keep your design Clean and Simple with lots of white space! Here I used a a collage of numbers background stamp from Kaisercraft, stamped and clear embossed then inked with a variety of Distress Inks. The sentiment from Winnie and Walter was triple layered and mounted over the stitched tag die! This one's for my daughter's friend so she quickly sifted through my sets looking for words and phrases to describe her friend! I love the 'You're a Good Egg' and 'You Crack me Up' from Mama Elephant: Just Hatched. The others are taken from various Uniko Studio and Clearly Besotted sets. The words are stamped using a sticky pigment ink then heat embossed in clear EP to add some shine! 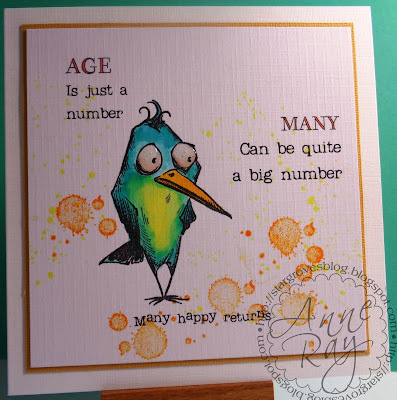 The sparkly '18' die-cut is from Avery Elle then inlaid into a stitched circle from Simon Says Stamp. To finish I've scored a few lines above and below the panel then added some sparkly gems from my stash. 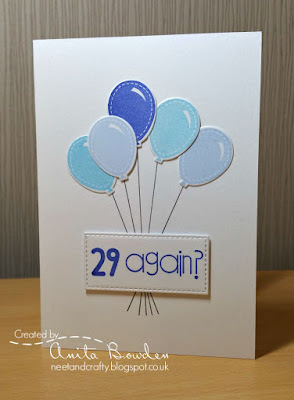 I stamped five balloons in blue shades and die cut with their co-ordinating dies, these from Clearly Besotted's Make a Wish set. I then positioned them roughly where I wanted them and marked under each one with a pencil. Further down the card I marked a central point then drew in the 'strings' with a fineliner pen. The balloons where then adhered in place and the sentiment from Paper Smooches' Birthday Sampler set was stamped onto a panel, die cut using a stitched rectangle die by MFT. My numbers card was a bit of an ageist dig for a good friend. The Crazy Bird was coloured with Copics and given bulgy Glossy Accents eyes. The splats are MFT stamps and the text computer generated. with some encouraging feedback - we all love those comments eh! Blogger in its wisdom has introduced a random verification system . If the DT try to comment and the verification questions cannot be understood, comments may not be left! We are really sorry about this and hope that Blogger will come to its senses and remove this silly process very soon! Those colours definitely seemed to inspire you LIMettes! There were so many striking and vibrant cards to enjoy looking at. - so, in order of entry, it's a Top 4 this week! We hope you'll agree these are simply awesome and worthy of our showCASe! and inset to create a CAS design with lots of white space is sheer genius. 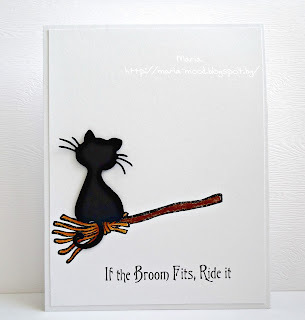 the off the page image make a striking card! perhaps they are from a mythical phoenix? Nicely balanced design with plenty of white space! set off to perfection by the silhouette in front! new challenge tomorrow morning at 8am GMT! cards again this week and we have a super fun theme for you to adhere to! Do remember to leave lots of white space and do keep your designs really simple! Here are our cards to give you a few ideas! I bought this fun stamp from Little Claire, at Sincerely Yours show when I was out and about with Chrissie. I've coloured him with Koh-i-Noor pencils on kraft card and added a sentiment from Dylusions. I love Penny Blacks ducks and this one is a real cutie. 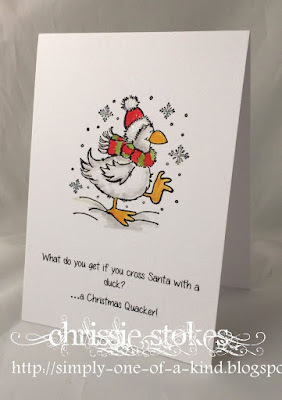 It was coloured with Distress Inks and a water brush and accompanied by a computer generated sentiment, which reads... What do you get if you cross Santa with a duck? ... a Christmas Quacker! Uniko and Paper Smooches to create the colourful explosion of gifts and images. This card took a bit of planning but was pretty simple to create. I sketched a Santa hat onto a post-it note and cut it out from the inside to create a mask, firstly minus the white parts. I used a grey card base as I wanted the white to eventually show up. I blended Barn Door Distress Ink through the mask to add some light and shade. I then cut two more masks for the fluffy parts of the hat and swiped a VersaMark ink pad over the negative space onto my card base. I then heat embossed these areas with white powder by Wow! 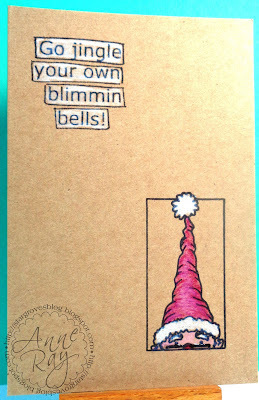 I finished with a sentiment from MFT Christmas Cuteness. 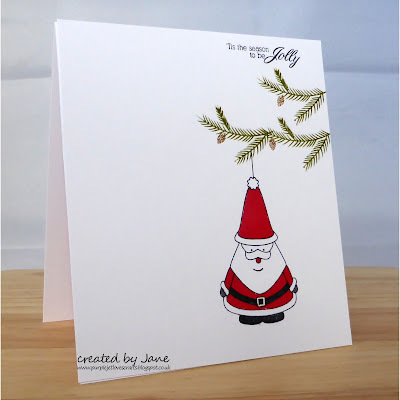 We are really looking forward to seeing what you all come up with and just think, it will be one less card for you to make when the time comes for you to send out your own Christmas cards! Without further ado here they are in the order which they were submitted. We thought Tara's paper piecing of this comfy pile of blankets was just fabulous. Paired with the crisp stitched panel makes this perfectly CAS. We loved the sentiment and Susan's fantastic paper pieced image. 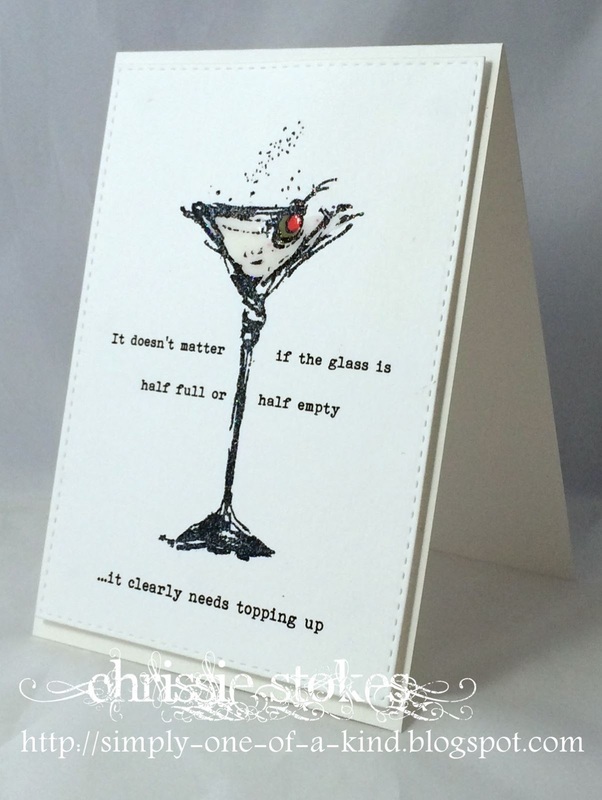 The colour blocked design also made this a really striking card. Such a fabulous scene for Christmas. Those images look wonderful after being paper pieced and Joyce managed to keep her card beautifully CAS even with the bold two-part sentiment. We're sure you'll want to join with us to congratulate these ladies on their wonderful inspirational work! If you haven't visited them already it would be great if you could pop by their blogs to leave a few kind words! DO please take the showcase badge from the page at the top! There's still a tiny bit of time left to join in with this week's FIERY colour challenge, but do come by tomorrow for our new challenge starting at 8am GMT. which means it's time to announce our winner for October! appreciation and encouragement every time. We're sure you'll agree that Maaike is a very worthy winner. which we'd love to see displayed on your blog with our thanks! Well here we are in a new month with a new challenge and a new Sponsor. Mary has been a faithful sponsor of our challenges for many years now and we are so grateful for her support. If you have not yet checked out her shop we do urge you do so, she stocks so many lovely things... as well as the superb range of ribbons! Please try to stick to the colours that can be seen in fire with any additional shades being kept to neutral or metallic shades. I squished a small amount of Distress Inks in Barn Door, Spiced Marmalade and Mustard Seed onto my craft mat and spritzed with water. I then smooshed the ink onto a cardstock panel bringing the colours up from the bottom corner. Once dry I then repeated the process to intensify the colours. 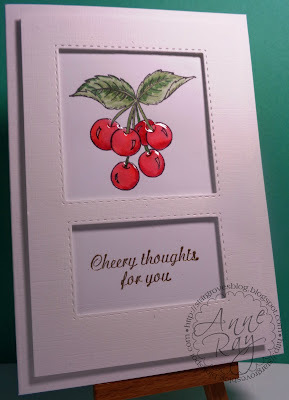 I adhered the panel to my card base on 3D foam and added a vellum die cut, Leaf-Filled Flourish by MFT, and adhered the black sentiment strip, which was heat embossed in white using a sentiment from Clearly Besotted's Many Mini Messages set. 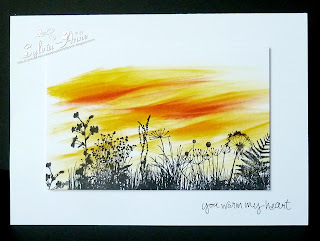 I masked off a margin around the bottom left corner of my card and then sprinkled Brushos onto it in an assortment of fiery shades. A light spritz of water gave a fab fiery corner and I added a Poppy die of roses over it and a Mama Elephant die and stamp sentiment. This card utilised a couple of my new acquisitions... the base die for the butterfly from All Occasion Dies and the 'hugs' word from Winnie and Walter! The embossing folder is from Cuttlebug and the base layer from Simon Says Stamp. I've nearly worn this one out, it's doing trojan service! The colour was achieved with Inka Gold pastes and distress inks which were mixed, smooched and daubed. 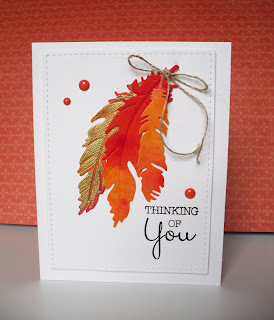 and you can't beat a mix of distress inks to create those fiery tones! Wild Honey, Ripe Persimmon and a dash of Barn Door! with some Gold Delicata ink. also die-cut using the MFT stax set. To finish a few gelly sparkles. clean and simple with white space too. struggled, you crafty folk certainly didn't have any difficulties! 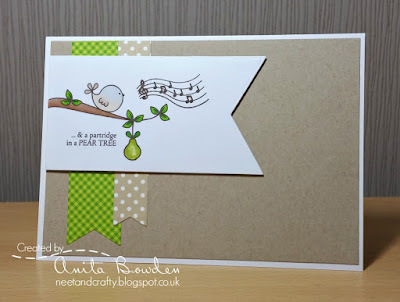 stamped images and perfect Christmas scene! sentiment with a brilliant and unique take on the sketch! the perfect combination for celebrations! Yet another perfect selection don't you think? worthy of our ShowCASe this week. we hope you'll display it with pride and our thanks. details are released at 8am tomorrow.